Been wildly busy sewing these lovely fabric group portraits, commissions are welcome and it is very easy to connect with me through my Facebook page. Jenny Fafa Brook studied art at City College in Manchester, specialising in 3D Design. She has, in her previous incarnations, been a mural artist, puppetry workshop leader, upholsterer, artist in residence and fairy maker (not necessarily in that order). 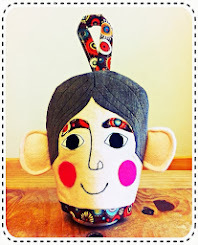 Jenny now runs a sewing business from her little Cumbrian cottage where she designs and makes her own unique and delightful brand of quirky textiles. 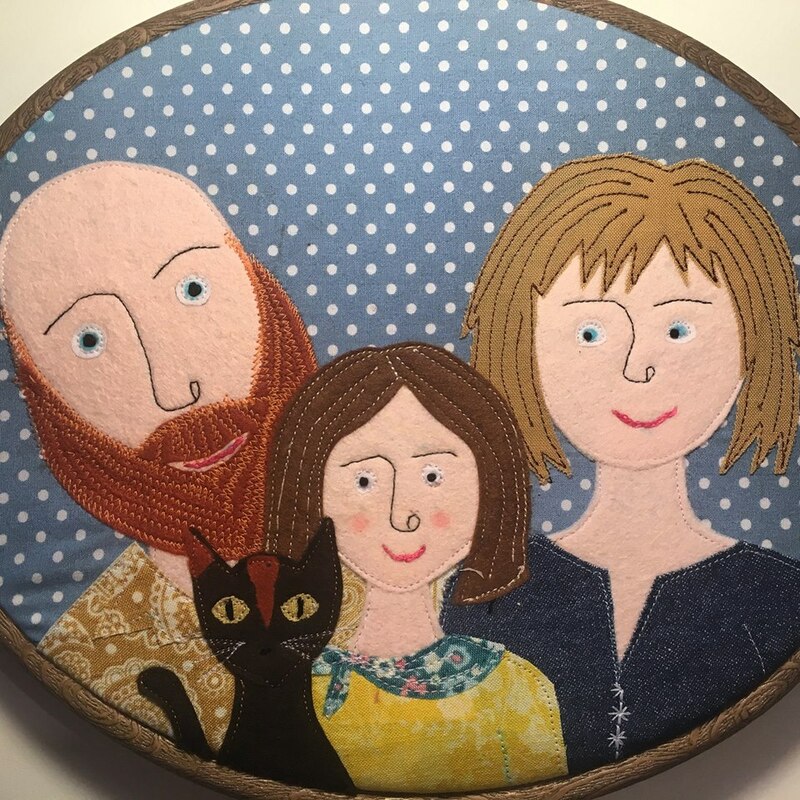 She specialises in sewing bespoke fabric portraits and applique lampshades and welcomes commissions. Jenny has one husband, two children and three grumpy cats. She likes to fly kites, wild swim and eat cake, preferably all at the same time.